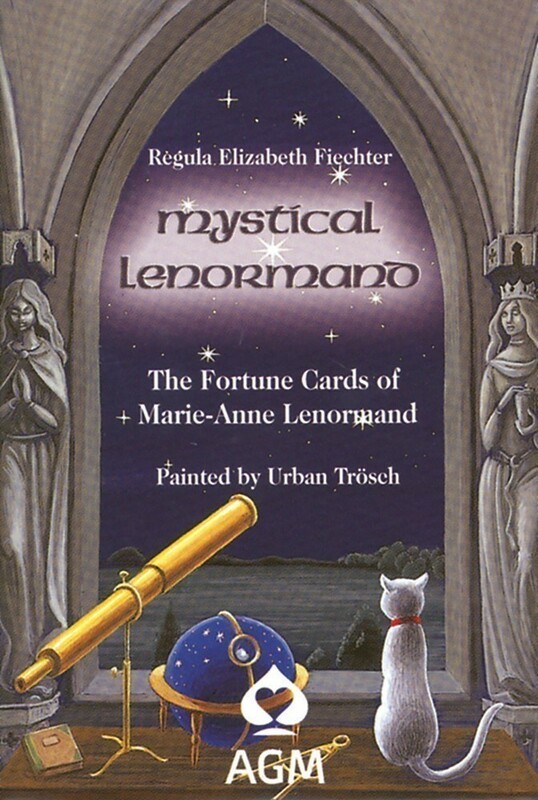 Also available: Mystical Lenormand Book. Mr. Trosch has created a mystical deck whose images truly resemble the icons of yesteryear, as each image is framed by a "window" that really makes one feel as if they are looking though a portal and glimpsing an altogether different reality, a place of mystical wonders and other worldliness. Even the backs of the cards take one away from the ordinary. 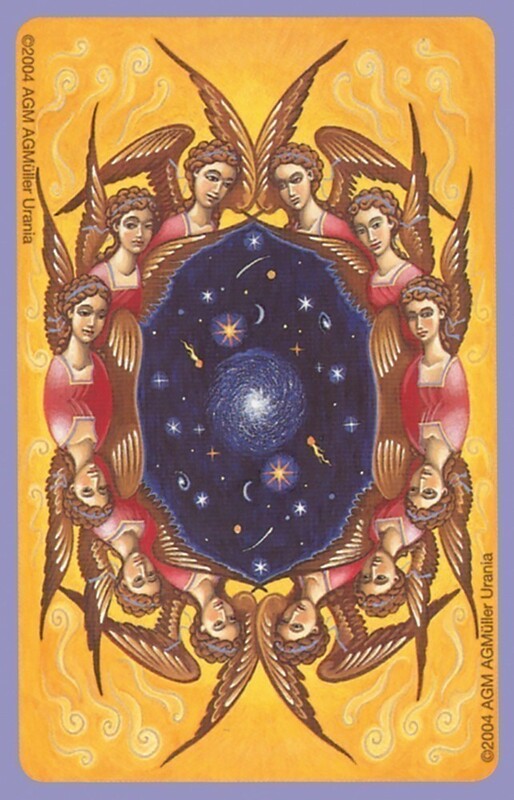 Celestial angels encircle the earth and look down at the planet from the heavens, leaving one to feel as if they are going on a journey, far far away. The deck is smaller of size, and I thought that would be a turn off, but quite to the contrary, it lends to the charm of the deck. When first opening the sturdy little box one is confronted with the LWB (little white book) which is really quite informative, with a brief history of Mlle. Lenormand's life, her deck and how Urban Trösch came to make this new take on the French classic. 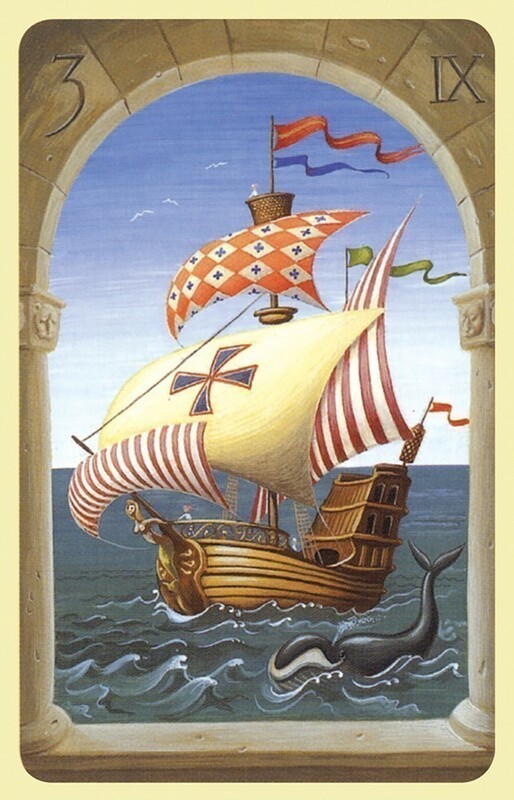 There are spread suggestions and the original meanings for the cards as well. What really impressed me, however, was the way the instructions treated the art of reading the deck (or any deck, for that matter) for beginners. 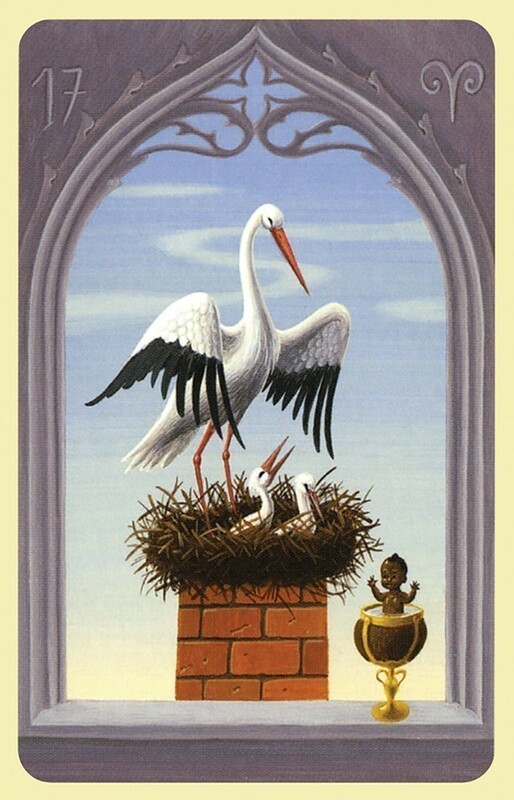 They really stress the personal experience and encourage the neophyte to branch out and feel the cards and use first impressions and personal deep-seated meanings before ever looking at the black and white traditional meanings. Nothing cut in stone here! This is so refreshing to me. It does my heart good to see the art of reading decks go beyond the cookie cutter definitions and diving head long into how a card makes a person feel in their gut, where all good reading begins and ends, with the intuition and uncharted senses. Add to that the mentioning of how to treat a deck with awe and respect from the beginning, and you have a really good deck for the beginner that an experienced reader will also enjoy. This is how deck reading should be and this is how it is presented from the beginning, with honour and dignity and not a frivolous "game". I know Mlle. Lenormand would agree with me on this. 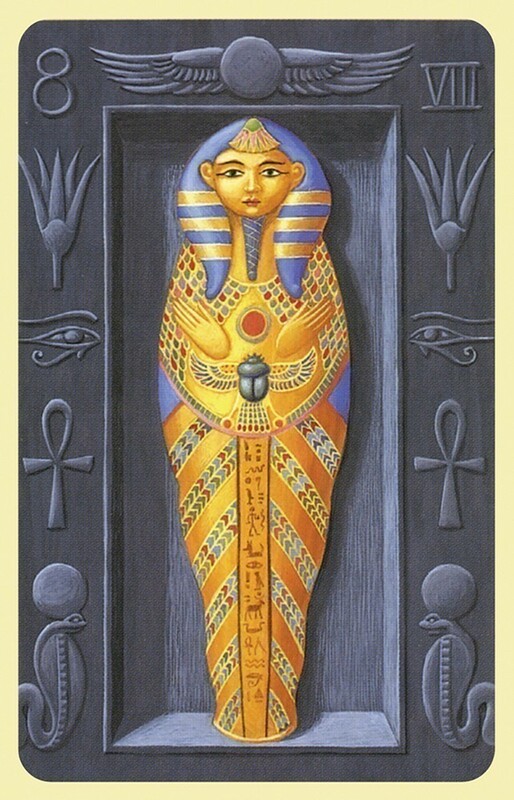 All in all, this deck is a very nice package, especially if one cannot get her mitts on any sort of Lenormand deck. This demure replica is a good start and far from a mere copy, it can hold its own reading after reading, or simply as a tool for meditation and contemplation. 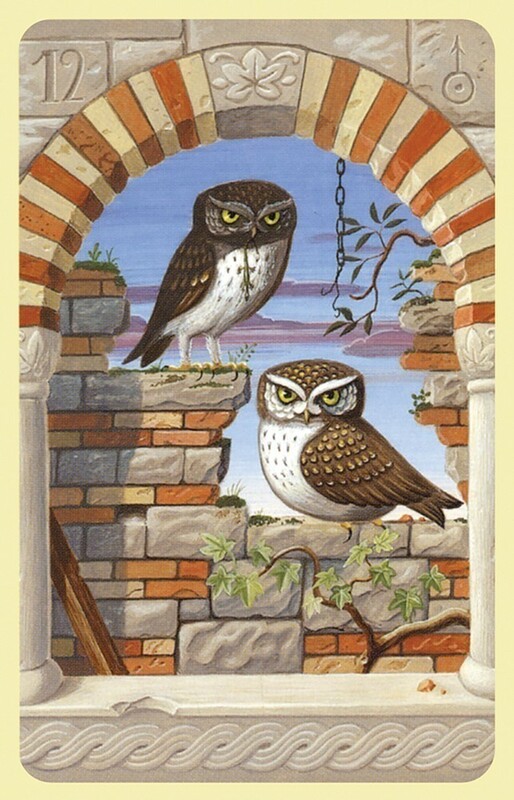 I find the images compelling and possessing their own personalities apart from the original Lenormand -- like a long-lost cousin to the original, or even a sibling -- they are very much alike, but different enough to be able to show unique traits original to each and the other. 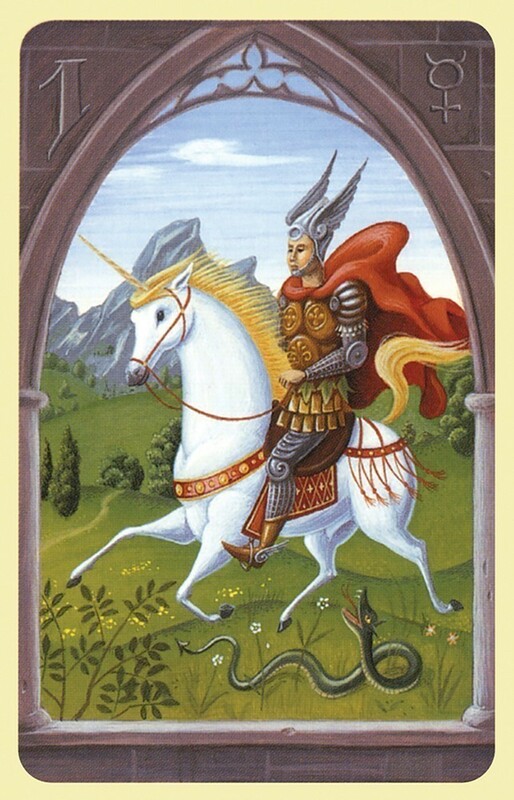 I highly recommend this deck to anyone looking for a meaningful departure from the classic Waite-Smith fare. 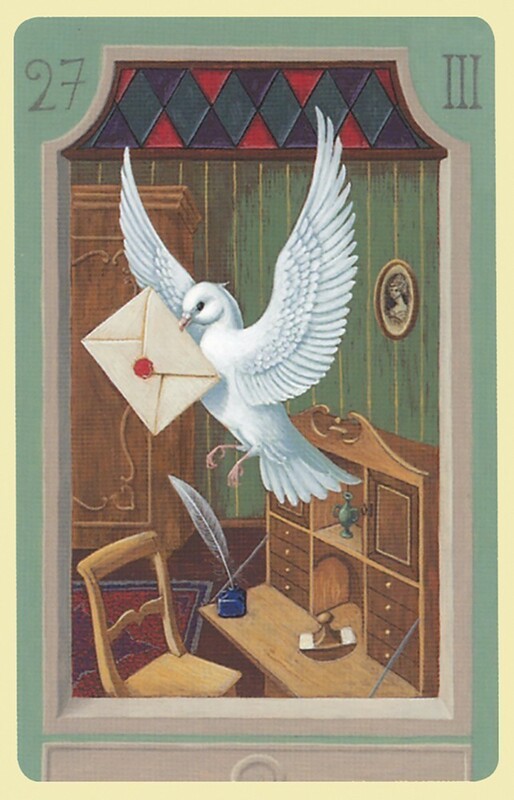 In a day and age when everyone and their brother are making and publishing their own decks, both oracles and tarots, it is a rare thing to find one or two that really stand out and stand up on their own merits, The Mystical Lenormand is one such deck. And especially in the case of the Lenormand decks, as they sort of fall somewhere between a tarot and an oracle style of deck. If one decides to add this deck to their collection of cards you have my word that you will not be disappointed.